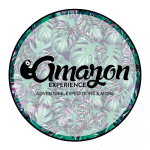 We are a local tourism agency based in Iquitos, Perú which aims to deliver outstanding and meaningful adventure experiences. Travel at ease to the Amazon rainforest without worrying about the details. Experience nature in an adventurous way, led by a responsible team that cares for you, the local community and the environment.